Witness for the Prosecution. Diana Rigg stars as Christine Vole in 'Witness for the Prosecution'. HD Wallpaper and background images in the Diana Rigg club tagged: diana rigg actress stage screen christine vole witness for the prosecution film photo. 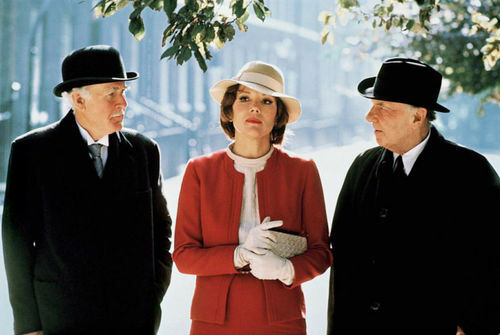 This Diana Rigg photo might contain geschäftsanzug and business-anzug. I have yet to see this, but definitely want too. I love one of the reviews where someone said something of her portrayal as Christine Vole like "she's out-Dietriched Marlene Dietrich". As far as that goes, I haven't seen that version either. Just her look tells me she has given a fine performance lol !! !